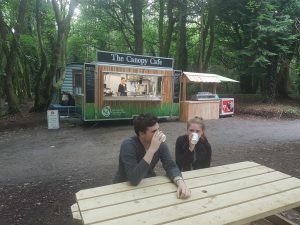 3 Great Reasons to Visit Castlecomer Discovery Park this Weekend! Many parents are experiencing the scourge of the screen, with our children becoming addicted to digital technology from gaming to You Tube. Spending so much time on line is impacting how our children are developing their social skills and building relationships and bonds. It also has the impact of being harmful to their health as it limits the physical activities they do. Our team experience first-hand how young people totally forget about screens when they are here in the beautiful natural environment of the park. 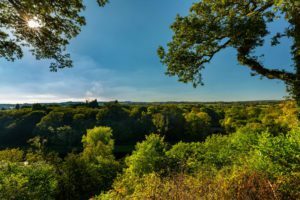 This is a form of “Green Therapy”, which effectively means spending time in the natural world to build physical, emotional, and family fitness. Adventure therapy is another form of green therapy but uses our activities to promote positive mental, emotional and physical outcomes while having lots of fun. 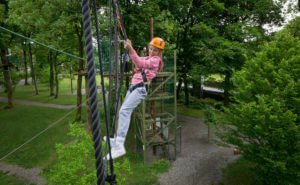 With Ireland’s longest zip wire, climbing wall, high ropes challenges, tree top walk, boating, archery and play areas, there is lots for people to try their hand at adventure therapy. Look what you can do here!